Glen Abbey Golf Course, a local landmark of international fame, got additional protections from recent meeting of the planning and development council for Oakville. The vote was unanimous regarding protecting the existing site and limiting what can be built on it. Mayor Rob Burton shared that the protection measures still active today are part of those that were first introduced as part of the process in 2009. The protective measures aim to conserve the most important heritage features of the Glen Abbey Golf Course property. He also shared that conservation and protection are the primary concern of associations and residents in the area who’ve all been working for about 10 years now on the development of Oakville Cultural Heritage Strategy plus scoping potential cultural heritage landscapes. Oakville Council declared Glen Abbey Golf Course as a cultural heritage landscape after careful assessment. Residents expressed approval over the conservation plan that allowed the golf course to continue hosting Canadian Open tournaments. The goal is to keep this balance. 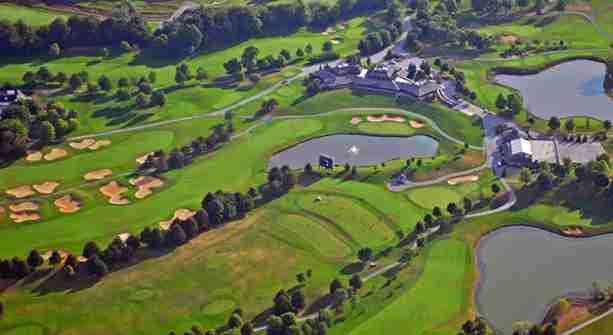 Considerable interest has been brewing over the future of the Glen Abbey Golf Course after ClubLink, the property’s owner, announced that they plan to build 3,222 residential units on the site that would be part of 9 apartment buildings ranging from 9 to 12 storeys high. With the new protection measures in place, these structures will not be built at Glen Abbey as stipulated in zoning bylaw amendment. It should be noted that the Conservation Plan will have a similar impact to the zoning bylaw amendment, requiring that proposed development on the property will have to go through an approval process by the Town. These protection measures will not affect the operations of the Golf Course. Save Glen Abbey Coalition’s Fraser Damoff says that conservation is all about preservation and protection of a valuable resource, a sentiment echoed by representatives from various delegations of resident associations all over Oakville. ClubLink lawyer Mark Flowers isn’t happy with the outcome of recent meetings, saying that the protection measures are meant to add another level of bureaucracy for ClubLink to go through for every minor development they wish to add to the Golf Course as part of it’s operations. He emphasized that with these measures in place, minor changes for the golf course will now take months before getting approval. There is a move to look into possibly opening another dialogue or consultation before the changes are set because as good as the intentions for protecting the golf course are, protective measures that are too extreme can cause problems down the road, and not just for Glen Abbey, for other golf courses too. Are you a real golf enthusiast? A few other golf courses are (aside from Glen Abbey) are just a short ride away. You’ll surely fit right into a community with a strong sense of identity and heritage that happens to be a golfer’s paradise. Contact us to view some of our available Oakville luxury real estate.